If you're suffering from an itchy, runny nose, a tickle in your throat, and a cough, you may have fall allergies—a surprisingly common ailment, as more than 50 million Americans can attest. Autumn brings colors, harvest, and the World Series... along with, unfortunately, fall allergies. Allergies can occur in any season, making fall allergies just as annoying as those that pester us during spring. Here’s what you need to know to keep them at bay. Still not sure if it’s a cold? Check out our post Cold Vs Allergies: What’s The Difference? 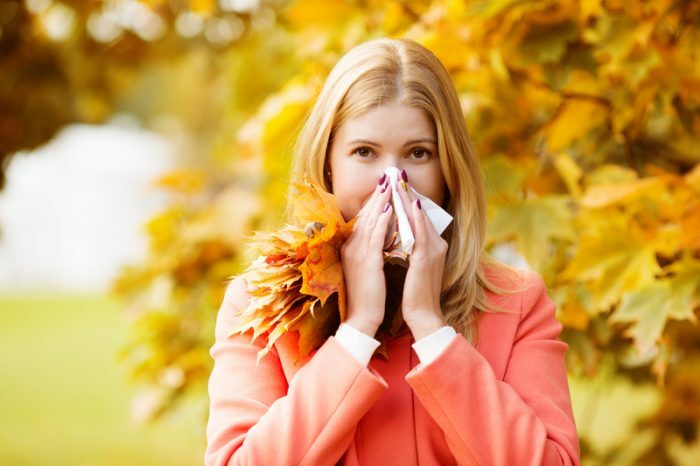 While spring offers its own brand of allergens from such sources as pollen released by trees, grasses, and weeds, autumn brings a similar selection of itchy-eye-causing and sneeze-inducing triggers. Ragweed. This widespread cause of hay fever (a.k.a. allergic rhinitis) begins to pollinate during mid-August, stopping around the first freeze. 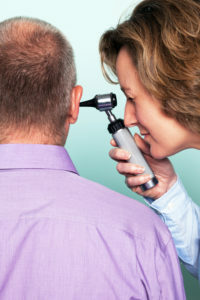 This main cause of fall allergies is more prominent in rural areas, especially in the East and Midwest United States. Weed pollen. Weeds such as sagebrush, pigweed, lamb’s quarters, Russian thistle, cockleweeds, and tumbleweed can also trigger hay fever. Mold. “You get a lot of mold with the dampness, especially later in the fall with the wet leaves,” says Aimee Altschul-Latzman, MD, owner of Allergy & Asthma Consultants of Fairfield County in Connecticut. “Leaves on the ground will breed a lot of mold.” This persistent allergen can survive both inside and out, but during fall, the outdoor variety is responsible for the most allergic and asthmatic reactions. Dust mites. According to Dr. Altschul-Latzman, these microscopic bugs are the most common environmental allergen. They favor a comfortable environment free from temperature extremes and humidity, making your home a perfect spot to hang out. Want to nip fall allergies in the proverbial bud? Try these successful strategies. Uncover your allergies. If you’ve been sniffling and sneezing for a week or more, a cold isn’t the likely culprit, especially if you have a history of allergies. Head to an allergist for a scratch test to determine which allergens trigger your condition. Once you figure out what you’re allergic to, you can properly determine and time your treatment, says Dr. Altschul-Latzman. For instance, you may want to start on a particular antihistamine well before fall allergies hit to ensure you’re protected. Use an antihistamine. Talk to your doctor about using an antihistamine to help treat (and prevent) your symptoms. “My recommendation would be to start an oral histamine (i.e. Zyrtec or Claritin) and an intra-nasal steroid spray [i.e., Flonase or Nasonex],” suggests Dr. Altschul-Latzman. Both are available over the counter, but you should speak with your doctor to see which is best for your symptoms. Do your dusting. Allergic to dust mites? “Keep your home as free from dust as possible with regular cleaning,” Dr. Altschul-Latzman says. Since your biggest exposure to these pesky mites occurs in bed, she suggests using dust-proof covers on your box spring, mattress, and pillows. Regularly wash sheets in hot water (130°F or higher) and clean air vents before heating the house for the first time this season. Try immunotherapy. Immunotherapy (a.k.a. allergy shots) involves having a series of injections which contain a small extract of a particular allergen. The goal: to increase a person’s tolerance to this trigger. According to the ACAII, these injections can reduce symptoms of hay fever in nearly 85 percent of those suffering from allergic rhinitis. Monitor the pollen count. If you suffer terribly from outdoor allergens, check your local newspaper or news station to find the daily pollen report. If the pollen count is high and you have to go out, wear a paper mask to protect yourself from airborne particles. Better yet, stay inside during peak pollen hours and keep the windows closed to prevent allergens from entering the house. Another must: wash clothes, vacuum carpets and upholstery, and bathe outside pets regularly to cut down on pollen. Clean Your Yard. While raking leaves may cause irritants to enter the body, it’s essential to keep them from piling up and becoming moldy. Wear a mask to eliminate contamination. Install a dehumidifier. Mold loves the damp. Placing a dehumidifier in high-risk areas (e.g. the bathroom, kitchen, or basement) can help prevent mold from taking hold. Clean up! Have a pet? Then your home is likely peppered with pet dander, fur, and saliva; all of which can cause an allergic reaction. Keep pets in a specific area to limit their area of contamination. Also, ensure you keep their bedding and litter boxes clear of air vents. Wash and brush your pet often and keep them off the furniture (if possible). Use a saline rinse. No one enjoys using a neti pot, but it’s an effective way to clear nasal passages of allergens. So, buck up and start rinsing. “Allergic people have a higher likelihood of developing more allergies,” says Dr. Altschul-Latzman. allergen, allergic reaction, allergic rhinitis, allergies, allergy, allergy season, allergy shots, antihistamine, asthma, chest pain, dizziness, food, food allergy, food intolerance, hay fever, histamine, immunotherapy, mold, nasal allergies, non drowsy, non drowsy allergy, non drowsy allergy medication, pain, report, rhinitis, scratchy throat, shortness of breath, spring allergies, weather, wheezing.